Learn more about the latest performance tweaks and bug fixes featured in the Red Dead Redemption 2 update version 1.05 patch notes for PlayStation 4 and Xbox One. When developers start thinking about the games-as-service approach, a bit part of the procedure involves offering up frequent updates. That's more than likely why Rockstar is now offering up the Red Dead Redemption 2 update version 1.05 patch notes just a matter of days after the previous 1.04 update released. There's a few fixes and tweaks in the mix here, though like the last update, it's not exactly clear specifically which issues were addressed. The latest 1.05 update for Red Dead Redemption 2 is a relatively small one that primarily looks to address both performance and known exploits. Here are the official Red Dead Redemption 2 update version 1.05 patch notes as provided through the official Rockstar Games support website. General improvements to fix game stability, save data, and to address exploits. It goes without saying that these patches notes don't give players much indication of what might have been changed. Small wonder why the page has just 35 helpful votes out of 82 total as of the time of writing. 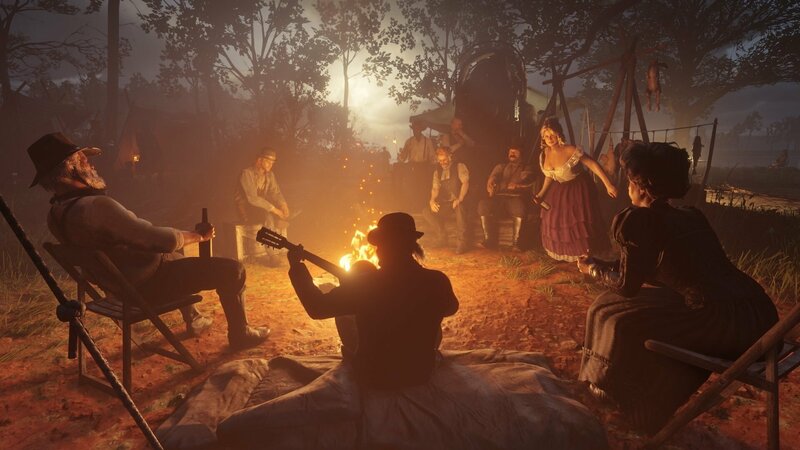 Still, the official RDR2 update version 1.05 patch notes do at least show that Rockstar is continuing to address known stability issues and exploits, even just two days after the update version 1.04 landed for PlayStation 4 and Xbox One. The Red Dead Redemption 2 update version 1.05 patch notes for December of 2018 don't give fans much of a flavor for what sort of fixes and adjustments Rockstar has been working on. With that, they do at least show that the development team is actively working on bugs, doling out adjustments on a frequent basis. To learn more about Rockstar Games' latest Old West release, check over all the great maps and strategies posted on Shacknews' Red Dead Redemption 2 walkthrough and guide.